"Indecision Is Still A Decision"
Indecision is still a decision. My therapist told me that some time ago, and it was a huge epiphany (and read) for me at the time. You can avoid opening the emails about your school loans, but that won’t stop the debt from increasing. You can delay having a tough conversation, but know that continuing to stall won't solve the problem. Not all indecision leads to bad outcomes, but what we aren’t going to do is act like indecision avoids consequence. Be accountable, for that which you decide to do and not do. For a character so familiar, the nuances of Paper Boi's rise have made FX's 'Atlanta' a refreshing watch. UGK for life, long live Pimp C.
Great read on immigrant stories, food, street art and culture. 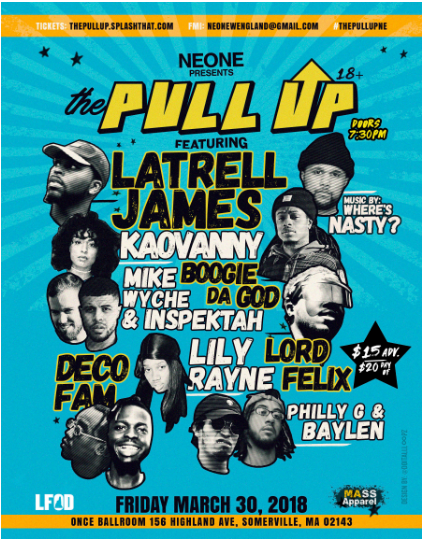 The third installment of The Pull Up showcase series at ONCE Ballroom is today. Check out this article on the showcase and its line up, and get your tickets now. Premiering first during First Year Project's live show with Latrell James, "Okay" is now officially released from the artist's forthcoming project, The Sky Might Fall. Take a listen, and then check out the full interview with Latrell to hear more about the project, his early beginnings and memorable stories along his journey as an artist and producer.